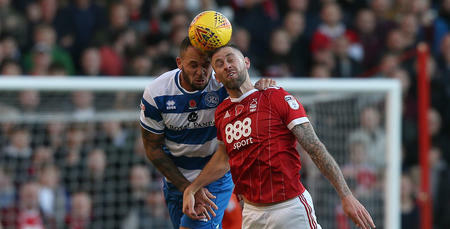 RANGERS slumped to a 5-2 Sky Bet Championship defeat, with Nottingham Forest running out worthy winners at Loftus Road. 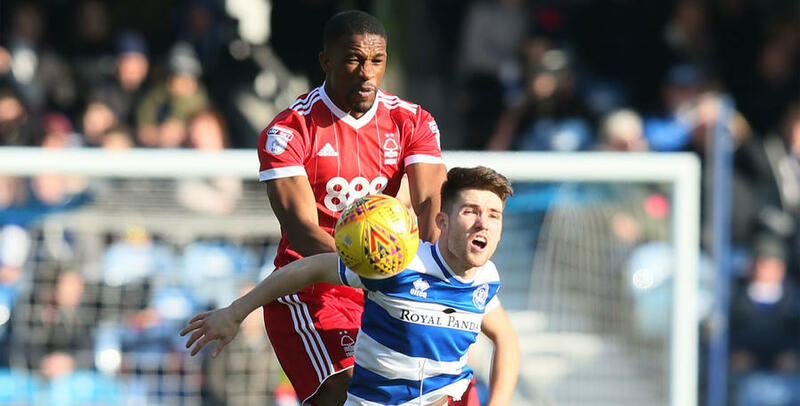 An end-to-end encounter for the duration, QPR were ultimately second best to Aitor Karanka's clinical Forest side – who were able to build on their 1-0 half-time lead courtesy of Lee Tomlin (37 minutes). Tomlin’s blockbuster second (47) and Joe Lolley’s third (51) put the visitors firmly into the ascendancy, while goals four and five arrived from Matty Cash (76) and Ben Brereton (90+1). The R’s replied through Massimo Luongo (68) and Matt Smith (78) – but they never got close enough to completing a W12 comeback. Hoops boss Ian Holloway made two changes to his team following the 2-1 reverse at Sheffield United in midweek. Jack Robinson returned from a toe injury, while Northern Irish youngster Paul Smyth was also handed a start after impressing from the bench recently. The duo replaced Alex Baptiste and Conor Washington, with only the latter named among the substitutes. QPR – in a 3-5-2 formation – lined up as: Alex Smithies; Nedum Onuoha (captain), Jack Robinson, Joel Lynch; Pawel Wszolek, Josh Scowen, Luongo, Luke Freeman, Jake Bidwell; Smyth, Smith. Rangers started brightly, with the energetic Smyth full of running from the front. The home side were first to go close in the ninth minute. Freeman took control of a Smith knock-down before skewing just wide from 20 yards. Then Forest almost struck with their maiden opportunity two minutes later. Tomlin, Lolley and Brereton led a visiting breakaway, before the former dragged his 18-yard shot off-target. Already, this was fast becoming an entertaining spectacle, and goal-line technology was called into action when the Hoops threatened in the 13th minute. Freeman’s corner was headed on by Onuoha, before Smith headed against the crossbar and Forest goalkeeper Costel Pantilimon collected the ball as it bounced down and up again off the line. Referee Darren Bond took a quick check of his wristwatch to ensure the whole of the ball didn’t go in, then allowed play to resume. It became increasingly evident that Forest were looking to hit Rangers on the counter attack, like in the 18th minute when former R’s midfielder and visiting captain Ben Watson put Brereton through on goal. Thereafter, Brereton attempted to dink the ball over Smithies - who raced off his line - but the QPR ‘keeper was equal to it. Forest were beginning to rack up their attempts at goal. From the resultant corner, Jack Colback blazed over when the ball eventually broke to him on 18 yards. Then four minutes later, Brereton’s low shot was kept out by the legs of Smithies. Rangers weren't exactly passengers in this affair, though their resistance was broken in the 37th minute – unsurprisingly following a Forest counter. Lolley eventually took up possession in an advanced position down the left and, when he pulled the ball back to an onrushing Tomlin just inside QPR’s box, the Cardiff loanee slid home in clinical fashion. A blow for the R’s, but they still pushed forward in an attempt to get back into this match. Luongo saw his box effort deflect over, before Smith’s looping header was caught by Pantilimon. Then only seconds into the closing period, Luongo’s latest, edge-of-the-box attempt was tipped wide by the Forest ‘keeper. But Karanka’s men effectively put the game to bed as a contest with goals in minutes 47 and 51. First Tomlin got his and Forest’s second of the game, the visitors capitalising on a defensive mishap before he curled home in spectacular fashion from 20 yards. Then came goal number three four minutes later, as Lolley controlled a delicious pass into him from man-of-the-moment Tomlin to drill beyond Smithies on 14 yards. In the build-up to Forest’s third, Rangers’ Lynch picked up a knock and couldn’t continue. So Ebere Eze took his place. The R’s spurned a good opportunity to pull one back on the hour mark. Smith nodded wide from 10 yards, following Wszolek’s hanging right-flank centre. Despite that chance, Forest now looked in command. 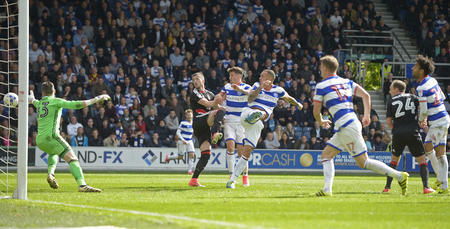 But Luongo’s 68th-minute strike gave Rangers a glimmer of hope. Freeman’s left-wing corner was touched on by Smith, before Luongo pounced to bundle the ball in from all of a yard out. After that, Washington was soon introduced, replacing Bidwell. Then Eze passed on a decent opportunity, following another teasing Freeman set-piece delivery, blazing handsomely over. However, Forest again looked to have put themselves out of sight when they added a fourth goal in the 76th minute. Sub Kieran Dowell’s range effort was parried by Smithies, before Cash followed up to hammer the ball into the bottom left-hand corner. The topsy-turvy nature of this game continued when the R’s scored their second two minutes later. Freeman was on hand with his 10th league assist of the campaign – his cross from the left headed in by Smith from eight-yards out. Surely Rangers couldn’t recover from here? Unfortunately not – even if the hosts did huff and puff towards the death. 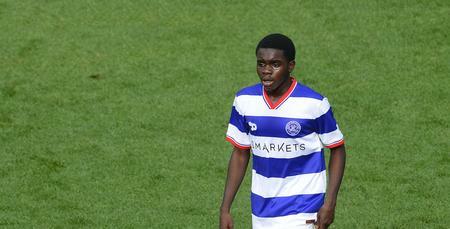 Smyth had the pick of QPR’s subsequent chances, nine minutes from time, shooting beyond the target after controlling well inside the penalty area. Strike partner Smith also pulled an effort wide of the foot of the right-hand post. In the end, there was time for Forest to add further gloss to the scoreline in the first of six added minutes, as Brereton curled home in style from 18 yards. 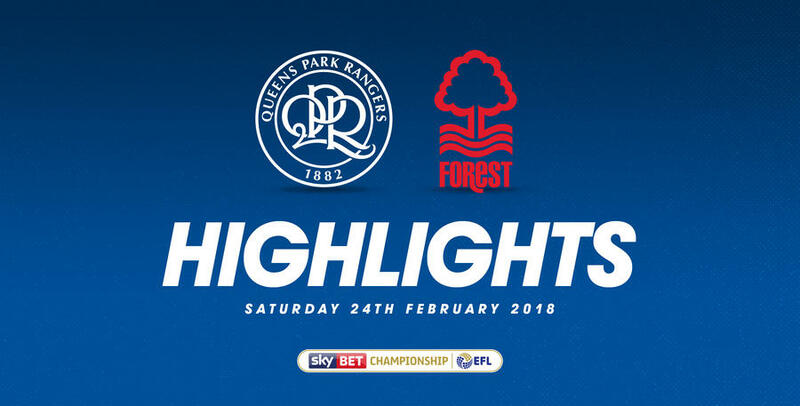 WATCH highlights from QPR's 5-2 defeat against Nottingham Forest.